Do We Need A National Dirtbag Day? Our pioneers’ ways are indeed dead. Cedar Wright recently made a documentary on the the end of the dirtbag climber. Dirtbags are either the most obsessed or dedicated climbers; I believe they are in the latter category where they’re dedicated to climbing and depriving themselves of all societal comforts to devote themselves to climbing. They’re often misunderstood by most people as unkempt and dangerously obsessed. Our pioneering climbers were dirtbags and they sacrificed a great deal. Several legendary climbers from the 1960s through 1980s like Chuck Pratt, Tom Frost, and John Long left everything to perfect their climbing skills and accomplish amazing human feats. They climbed walls that people said would never be climbed and often did it faster that ever imagined. Their sacrifice was more akin to depravity than the risk of death; they left all comforts of society, from steady income to personal relationships. However, as Wright explained, the cheap living at campsites near popular climbing destinations that supported dirtbag ways in the US have raised rates and shortened stay lengths; the result is that dirtbags have a tougher time living “homeless” on prime real estate. There are numerous other factors, but that’s just one example. I think Wright is correct when he said that it’s harder to be a dirtbag today. After all, it’s harder now to be a pioneer in climbing. Climbing’s most significant climbs today are not usually about first ascents but how he route was climbed (though there are still virgin summits and unclimbed walls). 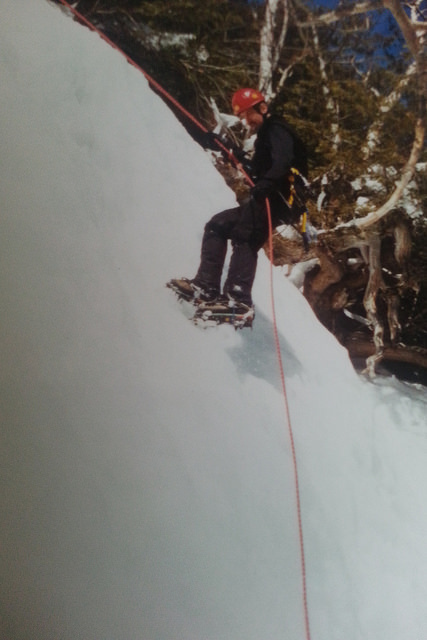 Climbing has always been about pushing the envelope with what the conventional thinking said was possible whether it was about speed or making the most direct line passed overhanging ice. Dirtbags made a path for other climbers to follow. And climbers today are less likely to go on a dirtbag pilgrimage. That’s not all bad news for climbing culture: First, the modern climber, it seems to me, is more likely to travel to multiple climbing destinations during their own personal pioneering days. Second, climbing gyms have taken our sport in a new age, which has produced stronger climbers than ever before. Potomac Appalachian Trail Club, and retailers like REI, Erehon, and Hudson Trail could promote to members and customers. Here is how you can help: If you like this idea, please share this post with your friends on Facebook, Twitter and anywhere else you visit. With your help, maybe soon, dirtbags won’t be so misunderstood and they’re passion will be better appreciated.